Yowch! 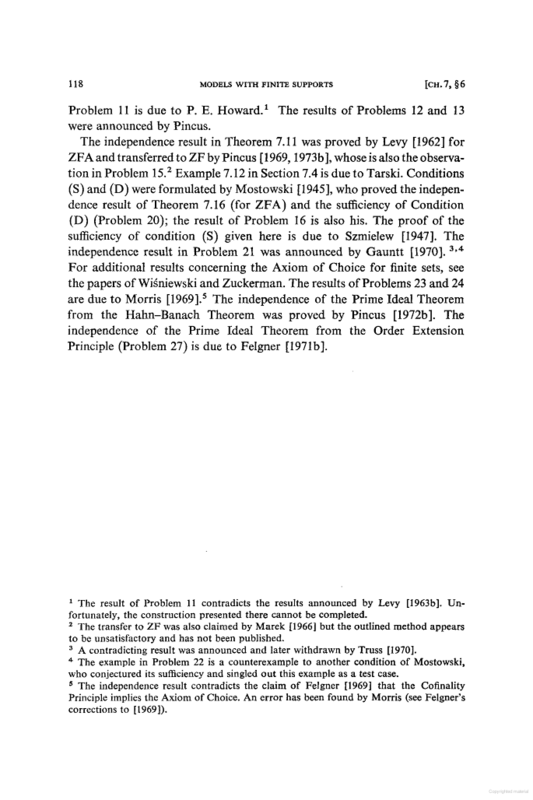 He must have worked hard to arrange for all those footnotes to occur on the same page. Unless every page is like that! Yes, I’m sure he rigged it that way for amusement. I haven’t seen any similar footnotes elsewhere in the book. 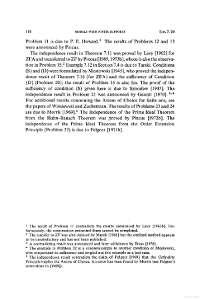 These are the “Historical remarks” at the end of chapter 7 (which is about independence results between relatives of the axiom of choice). What you see on p.118 is about half of these historical remarks, but the other half (on page 117) doesn’t have a single footnote and doesn’t mention a single mistake.